My car is a '57 Super 88 4 door sedan. It has the J2 3 carb setup. I have just been told by someone, who seems to know what he talking about, that Olds did not put the 3 carb setup on 4 door cars. I was under the impression it was available on all 88s and 98s 2 or 4 door. Can some one clarify ? I have just been told by someone, who seems to know what he talking about, that Olds did not put the 3 carb setup on 4 door cars. Do not walk, but actually RUN, from this person, and never again rely on anything he says. 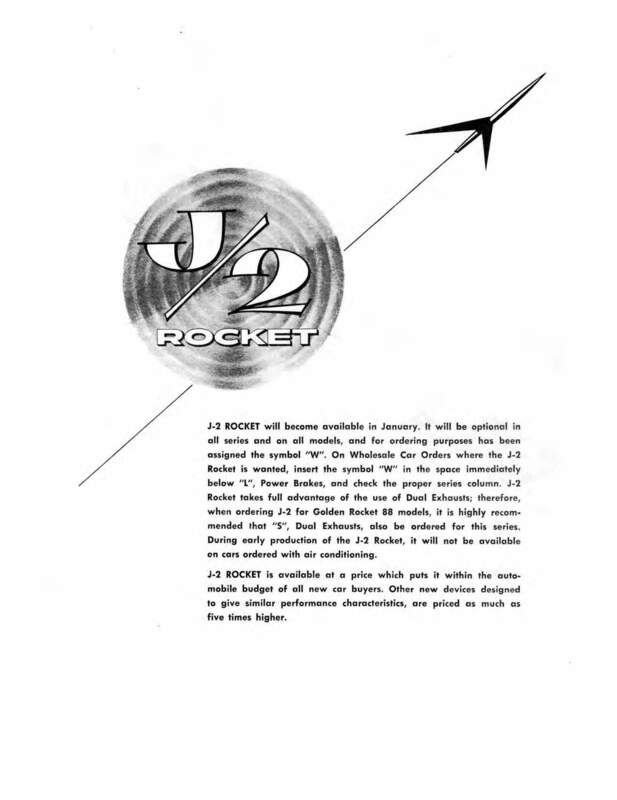 This is the last of the four-page J2 brochure Olds put out in 1957 announcing the J2 option. As it says in the second sentence, it was available on any Oldsmobile that year. No one counted the doors first. It probably wasn't as common in a 4 door sedan as many of the other body styles but that doesn't mean it wasn't available. Thanks Jaunty, I have looked under my car and although it has single exhaust on it now it does still have the factory hangers for duals. Any other way to know for sure? Any other way to know for sure? Any other way to know what for sure? That the J2 setup is original to the car? Probably not, unless you can find the original purchase invoice or something like that. i have seen factory j2 option on a 57 station wagon,also the factory dual exhaust cars had grilles in the rear bumper above the exhaust tips. 1957 was back in the day when if they manufactured it, you could order it. Quick Reply: Another engine question.